You have consumed it during Thanksgiving as a part of drinks, desserts, or sauces. But, we bet, you never knew how healthful those small red berries actually are. Yes, we are talking about ‘cranberries‘, which you should include more in your daily diet for better health, skin, and hair. 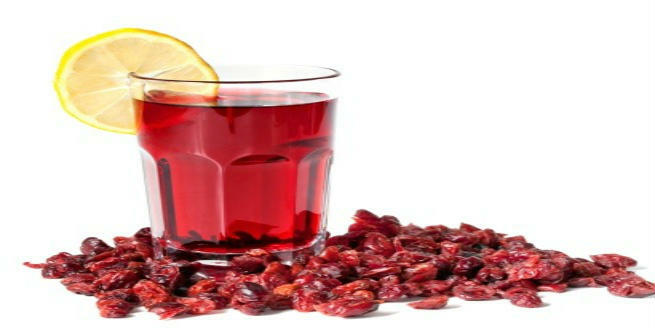 Read on to know more about the amazing benefits of cranberry that can improve your overall health and looks remarkably. If you keep following the latest global food trends, you must have noticed that cranberries have been being labeled as a “superfruit” of late. And why not? The fruit is a rich source of vital nutrients, phytochemicals, and polyphenol antioxidants, which are beneficial for the good health of our immune system as well as our overall appearance. Cranberry is usually available all year round and can be frozen until they remain firm and unwrinkled. Drink a glass of cranberry juice with your breakfast every day and you are sure to be healthy and glowing. Cranberries come loaded with essential vitamins, minerals, and other nutrients. As little amount as a half cup of chopped cranberry can provide lots of vitamin A, VItamin B (B1, B2, B3, B6, and B9), vitamin C, vitamin E, and vitamin K along with calcium, sodium, magnesium, potassium, iron, zinc, and phosphorus. Those small berries are also known as a good source of dietary fiber, carbohydrate, fat, and protein. Drinking a glass of unsweetened cranberry juice 2-3 times a week will cure your urinary tract infection (UTI) symptoms effectively. It has polyphenols called ‘proanthocyanidins’ (PACs), which prevent UTI-causing bacteria from binding to the walls of the bladder. But the juice of the fruit might not always have the right concentration of active ingredients needed for washing bacteria from your body. Hence, you can replace it with cranberry capsules. The polyphenolic compounds in cranberry help in preventing the occurrence of tumors in the body. The vitamins and a wide variety of phytonutrients present in the fruit also play vital roles in averting the abnormal growth of tissue in the body through their anti-inflammatory properties. Cranberry fruits are known to have great anti-carcinogenic properties. Research has shown that vitamin K, manganese, and phytonutrients in cranberries can slow down the progression of tumors to a great extent. This has a positive impact on prostate, liver, breast, ovarian, and colon cancers. The flavonoids, dietary fibers, and vitamin E in cranberries help in keeping our heart healthy by reducing the risks of a range of cardiovascular disorders (CVDs) including hypertension, coronary heart disease, stroke, etc. They prevent platelet build-up and decrease blood pressure through anti-inflammatory mechanisms. Drinking cranberry juice during your period will help relieve menstrual cramps and bloating. It will also ease the discomfort caused throughout the entire menstruation cycle. High levels of vitamin C in cranberry juice helps in preventing and curing scurvy, thereby taking good care of our oral health. The antioxidants in cranberries combat free radicals that are responsible for aging the skin. As yogurt is another excellent anti-aging ingredient, use them together in your facial mask to keep signs of aging (wrinkles, fine lines, age spots, etc.) at bay. All you need to do is blend two teaspoons of cranberry juice with two teaspoons of yogurt. Apply the mixture to your skin and leave it to dry for about half an hour. Then, wipe it off with a washcloth and wash your face with lukewarm water. Do this ritual weekly for a younger-looking skin. Cranberry can make your oily skin with large pores look more toned and vibrant. Being acidic in nature, the fruit helps in controlling the amount of oil produced by your skin and also in unclogging the pores. For this, you have to dip a cotton ball into some fresh cranberry juice and wipe your cleansed skin thoroughly with the soaked ball. This will not only help you unclog your pores but also keep the shine under control by decreasing the production of sebum in the skin. The antioxidant named ‘resveratrol’ found in cranberry juice can help in shrinking nasty acne and pimples. As it controls shine and unclogs pore, the chances of developing breakouts go significantly down. Apply pure cranberry juice to your acne with the help of a cotton swab. Wash it off once it dries. Its anti-inflammatory properties will help reduce the itching and irritation around the acne. It is also rich in vitamin C, which helps in improving the overall skin tone. If your hair appears dull and lifeless, revitalize it by using a glass of cranberry juice for the final rinse during the wash. This will seal the hair follicles and strengthen the hair fibers. Moreover, the nutrients in the fruit will make your hair look healthier. Cranberry juice is a natural antiseptic as well as an antimicrobial agent by nature. So, the next time you make a hair mask with yogurt or eggs, add some cranberry juice to it. Topical application of the juice will help you get rid of dandruff and other scalp infections. Do not include cranberry in your daily diet if you have been taking blood-thinning drugs as it will make your health condition even worse by increasing bleeding. If you have a history of kidney stones, cranberry can develop more stones by causing higher excretion of oxalate in urine. Cranberry juice should be used by women with dark hair only. If you have colored or tinted your hair blonde or golden, the red pigments in the juice will dye it and change the color immediately. Therefore, consult your doctor before you increase the amount of fresh cranberry or cranberry products in your regular diet. Stay healthy, stay beautiful!